Trahan, a native of Vermilion Parish, was born in Indian Bayou, LA and graduated from Indian Bayou High School as Salutatorian of her class. Growing up in this rural Acadian community, Trahan lived the traditions and customs of her ancestors and at an early age developed a strong love of her Acadian heritage. From birth she learned to speak both English and French – being taught by her parents and grandmother. In 1991, Trahan a received her Bachelor’s Degree in Interpersonal and Public Communication from the University of Louisiana at Lafayette. In 1998, she obtained a Master’s of Science Degree from ULL in Organizational and Interpersonal Communications. As a graduate student at ULL in 1993, Trahan was selected as the Outstanding Graduate Teacher. From 1999-2002 she was an Adjunct Instructor in the ULL Communications Department. Additionally, she has worked as a Metal Health Assessment Coordinator, Marketing and Community Relations Director. In 2002, Trahan was appointed Curator Director of the Acadian Memorial and the Museum of the Acadians in St. Martinville, LA. During her nine years as Curator Director she promoted the Memorial in the United States, Canada and Europe, resulting in a growing interest in the Acadian Memorial worldwide. She developed and secured outstanding grants from nationally-acclaimed exhibits and programs for the Memorial and the Museum including the History Channel’s “Save Our History” grant, securing the “The Public’s Choice Award” in the Quilt Exhibit at Poitiers, France with the Museum’s Odyssey Quilt and bringing the sought-after Smithsonian Museum’s “Journey Stories” exhibit to St. Martinville. 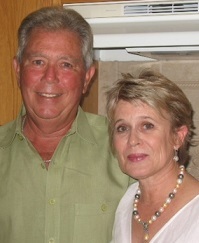 In 2009, Brenda and her husband Ray worked tireless to attract the 2009 Congrès Mondial Acadien 2014 to south Louisiana. After the selection committee chose another region for the 2014 CMA, Brenda and Ray led the successful effort to organize the Grand Réveil Acadien 2011 in south Louisiana - celebrating our Acadian culture and heritage with Acadians from throughout North America and Europe. In 2004, Brenda was selected as the St. Martinville Chamber of Commerce Business Leader of Year 2004. Governors Kathleen Blanco and Bobby Jindal have appointed her to the Board of Directors of the Council for the Development of French in Louisiana (CODOFIL). Recently, Lt. Governor Mitch Landrieu appointed Brenda to the Atchafalaya Trace Commission where she is working to bring this heritage area into focus and develop a framework for sustainable change in this historic area. Ernest Ray Trahan, a native of Vermilion Parish, was born in Kaplan and graduated from Indian Bayou High School in 1963. He graduated from USL (ULL) in 1967, earning a BS in business administration with a major in accounting. After upon graduation he was employed by the Louisiana Department of Revenue as a State Tax Auditor. In 1975, he was promoted to Sales Tax Reviewer, then Audit Supervisor, and next Director of Field Services. During the last 21 years of his career, he served in the Lafayette Regional Office as one of seven state Regional Directors. During his 34 years with the Department of Revenue he completed several upper management courses at LSU and graduated in a Case-Solving Course while attending Duke University. Upon retirement in January of 2002, Trahan received special recognition from Governor Mike Foster for his outstanding service and dedication to the Louisiana Department of Revenue. After retirement, Trahan increased his participation in various aspects of Acadian cultural promotions. He volunteers with the Acadian Memorial Foundation as Acadian Memorial. Festival Director and is a Past Grand Master of the L’Ordre Du Bon Temps organization. He is President of Confederation Association Families and past President of the Trahan Family Association. He is President of Louisiane-Acadie, Inc. the organization that provides a united voice for the Acadians of Louisiana and headed the coordination in 2011 of the international Grand Reveil Acadien GRA (Great Acadian Wakening) celebration of the Acadians of Louisiana. He enjoys traveling with his wife Brenda to Acadian areas such as France and Canada to promote Louisiana’s Acadian culture. Trahan is a member of the Acadiana Cup Golfers International Team, Delta Waterfowl and the Louisiana and American Quarter Horse Association. He owns Beaufile Farms where he breeds Louisiana-bred Quarter Horses. Trahan enjoys his days at Camp Beaufile in Pecan Island where he fishes and hunts. Trahan and his wife Brenda have two sons, Joey from Clemmons, NC and Scott and daughter-in-law Emily from Maurice. They have six grandchildren: Hunter, Gage, Remi are the children of Scott and Emily Carlie, Taylor, Bailey, the children of Joey and Jennifer.